2018 GOTCC Golf Outing a tremendous success! 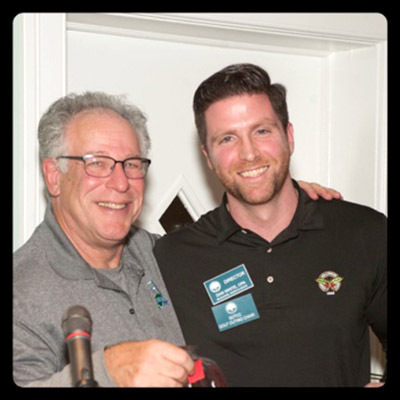 Ocean Township — The Greater Ocean Township Chamber of Commerce (GOTCC) recently hosted their Annual Golf Outing – The Ansell Grimm & Aaron PC Classic. The much anticipated event was once again held at the beautiful, prestigious Hollywood Golf Club located in Deal. Although the autumnal weather was cool, the dedicated golfers enjoyed a great day on the greens, including chair massages provided by Soul Focus of Eatontown, a buffet brunch, as well as access to the driving range and putting greens prior to the start of event. The Ansell Grimm & Aaron PC Classic provided all of the participants with opportunities to win great prizes from Gold Coast Cadillac of Oakhurst, Dixon Golf, and Golf Cave of Eatontown. Golfers enjoyed an amazing Cocktail Reception and Raw Bar followed by a lively awards dinner. Past GOTCC President and former Golf Outing Chairman, Martin Arbus, of Arbus, Maybruch & Goode LLC – Attorneys at Law, served as the Master of Ceremonies. Arbus’ engaging humor and dynamic presentation of awards made the event an evening to remember. This year’s Golf Outing Chairman, Dan White, CPA, extended his sincere appreciation to all of the golfers for coming out to show their support and to all of the volunteers who worked so hard to make the event a success. The Greater Ocean Township Chamber of Commerce is a member based non-profit organization that represents and promotes the business community in the Township of Ocean and surrounding area. The GOTCC is devoted to providing networking, educational and promotional opportunities aimed at increasing business for our members; and giving back to our community by sponsoring and participating in social and outreach programs and events, including annual scholarships for deserving community-minded high school seniors and support of the Community Hope Fund. Reminder: GOTCC Scholarship Application Deadline is December 5. The GOTCC serves as a liaison between the local business community, local government, and nearby business organizations and chambers. For more information about becoming a member, please contact the GOTCC at 732-660-1888 or email gotcc@gotcc.org.